Are you new to hiking, and want to start this activity on regular basis? Bravo! You have chosen something seriously good for you. Unlike other outdoor fun activities, this one goes in a middle way. Almost everyone can perform it without difficulty. A complete guide hiking for beginners can help you right away. People from all age groups including aged people as well as toddlers, you can take anyone with you on your hiking trail, and you surely will enjoy it. For all those, unaware of the term ‘Hiking’, let us describe it for you. Hiking is a kind of outdoor activity that involves walking. But, what’s the difference between normal walking and a hiking? It is the act of performing the latter one in natural environments or Hiking trails. You can perform hiking for different purposes. One of them is also to reduce your excessive weight while taking pleasure in the beauty of nature. Not only for physical fitness, but people also go on hiking to relieve stress from their minds. Overall, it is a complete adventure that puts multiple impacts on your mind and body, obviously in a positive way. Do you think it is an easier task for everyone? Of course not, at least it is not for the person doing it for the very first time. Hiking has its certain aspects. One should follow a few rules and regulations along with adopting other safety measures to have a safe experience. What are these tips and measures? What are hiking tips, hiking health benefits, and other details? You will read all these details in below sections. Before moving toward other guidelines, why not take a glance at the origination of hiking. It will especially please the soul of history lovers. History of hiking is probably as old as the history of mankind is. It is expected that hiking has started back in the Stone Age. People used to roam around to search for their food and other useful things for their survival. But now, as all facilities are available at your doorstep, people do hiking for fun or recreational purpose. Hiking can be as simple as doing it on plain grounds. Also, its higher level includes accomplishing the target of reaching the renowned mountains’ top like K2 and Everest. This level is generally known as mountain hiking. We can’t declare any one year as the beginning time of hiking. However, we know the date of the first recorded activity. It was performed in 125, and the trail was of Roman Emperor Hadrian to Etna. Later on, in the thirteen century, there is evidence of a few mountains expeditions. If we talk about hiking as the walk to the countryside only, then it is dated back to the 18th century. It was the time when people started to enjoy their natural places by using different trails. Developing with the time, hiking has now become the one of the famous industry with numerous people doing it all around the globe. 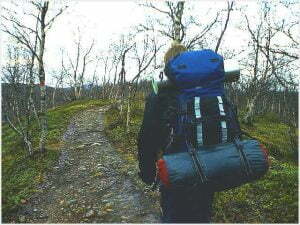 You have heard the term hiking for all types of backpacking related activities. Now, it can be either a hike to a local hilly area, or it can be on high mountains. Normally, people don’t know about their difference. Generally, it is okay to call all of them as hiking, but yes they also differ in one or more aspects. Therefore, if you are planning to enter the world of hiking completely, then it is important for you to be aware of its types. It is one of the simplest and easiest hiking types. It involves going to your favorite route/trail normally at early morning, and return on the same day. This type is particularly famous for beginners. It is preferable for them to start their adventure by going on a day hiking first. Not only is it the best-suited hiking for beginners, but for aged people and for toddlers/babies as well. All other people with health issues or a busy schedule can also enjoy day hiking, as it requires less gear and less energy. This type is suitable for intermediate level hikers. In this category, people make some basecamps and they return to it after their activity. You can call it the next level of day hiking. Exceptions exist, but we can also consider this hiking type as an easier one. Majority of people can go on it even with their families. It allows adventurers to spend some more time with nature. It involves a higher number of gears as compared to day hiking. But, it can also prevent you from going again and again on the trail. Rather, you can enjoy your favorite location within a single hike. People usually choose remote areas for base camping. It is the type of hiking in which a trail is divided into sections. People complete these sections in multiple trips. It can also take years to complete any specific trail. 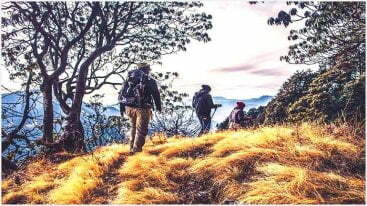 The most important benefit that this hiking type gives is to let backpackers enjoy the location to their fullest. You can perform this hiking at a quite slow rate by setting your budget and plans properly. However, you should keep this fact in mind that it will be expensive. Moving towards and back from the same trail will cost you more money. On the other hand, completing it on a single go will be more budget friendly. This hiking type is considered high-level hiking. It involves completing a whole trail end to end in a time period of twelve months. It is also known as “end to end hiking”. This type is usually performed on quite large trails. Such trails sometimes become hard to complete and take many days to reach their end. Therefore, it is generally suitable for experienced hikers. Additionally, going on Thru-hiking involves a lot of planning especially in term of collecting resources and other gears. Now as you have read about hiking types, you must have decided the one you are going on. After this, the next thing you must be looking for is to find out where to go hiking near me. Your experienced friends can guide you the best in choosing the right trail for your first hike. Closer the friends, abetter suggestion they would be able to give. The reason is their awareness of your choices, temperament, and other factors. However, if it is possible, try to choose some senior hikers as companions for your trip. They will make the first trip an easier one for you by giving valuable guidelines. If you don’t have any hiker friend, then you can take assistance from different online resources as well. You can get to read the experiences of thousands of people on different forums that could be kind of a great help to know about the nature of any specific trail. There are many other benefits of searching hiking related stuff on different forums. One of them is getting some good companions that are going on the same track as yours. If you find it suitable, you can even plan your trip with them. There are plenty of online websites available that can give you a true guidance related to your hiking route. It is better to consult some reliable website before going out for our first trip. They will not only guide you about the suitable track but would also bestow you with loads of other helpful guidelines. If you want to know the present condition of any track, then authorities of that area can give you true guidance. Better to contact rangers for this purpose. They have better knowledge of present situation and suitability of any track for you. In the above sections, we have discussed resources from where beginners can take suggestions for hiking track. Now, here are a few points that you should keep in mind at the time you are selecting your hiking trail. Estimate the time required to complete your selected track. After doing this, compare this time with your available time. Always choose the path that you can complete at least an hour or somehow earlier than your available time. This additional time can come in handy in case of an emergency. Check the nature of the track, and compare it with your fitness level. Few trails might have shorter distances, but they are quite hard to cover. Especially if you are a bulky person, a kind of plain track will be appropriate for the start. Check the distance of the whole track. It should be comparable to your walking stamina. Also remember, it might take even more time and energy than your judgment. Because hiking is not just like a simple walking in a park. Consider the height of your track. It will assist in identifying the amount of energy required to complete the track. It is quite essential, as the high track can make hiking difficult. Check the weather conditions of your selected area. It will help you in doing preparations accordingly. For starters, shorter distance and comparatively easiest tracks are the best. You can elevate the difficulty level with your increasing hiking experience. For all people reading out there, let me tell you it is completely a fun activity. In the majority of cases, you don’t face any trouble in doing it successfully. However, hiking for beginners can slightly be a difficult task at the start. Mainly, they feel it this way, if they haven’t prepared for it properly. That’s why this section is going to make all beginners aware of all important hiking tips and guidelines that will assist them on their way. Before actually going out hiking, follow these tips to make your hike safe and enjoyable. What dress are you planning to wear for your first hike? Not bothering to consider? Then, for heaven’s sake, do it properly. Your clothing contributes a lot in deciding your comfort level during a hike. In order to dress properly for hiking, generally, a layering concept is followed. It says you don’t need to wear a single bulky warmer or jacket. Rather, dress in layers. This is because you never know what weather is gonna turn out to be. Also, going on more heights make climate completely different from your starting point. But at the same time, walking or climbing can make you feel hotter. Coping with these two completely opposite scenarios, it is advisable to have layers of clothes on you. Regarding your clothes material, never ever opt for cotton stuff. It will make you sweat like hell. The reason is its inability to dry sweat soon. Rather, go for some synthetic material. It is also preferable to take some waterproof jackets to cope with rain. Wondering what pants to wear for hiking? It all depends on the expected weather of your trial. If it’s going to be hot, opt for shorts, and if cold, then go for pants. For optimum temperatures, jeans are a better option. Try to choose a lightweight pant material that is kind of lose and able to dry speedily. In this way, you will be able to convert them into shorts or full pants depending on the weather. Preferably, go for full-sleeves shirts and pants. They will protect you from insects’ bites and bruises. Your feet are going to take you towards your destination. That’s why it is your foremost duty to make arrangements for their comfort. What is appropriate hiking footwear? It is not those heavy boots made up of leather. Rather, your hiking footwear should be durable and lightweight to prevent you from aches and pains. You can also go on your sneakers. But, that is only feasible if your selected trail is smooth going and free of slippery areas. Looking for hiking shoes for beginners? Then, you better go with your regular hiking boots or sneakers (in the case of the plain track). The reason is as a beginner, you are not going on rough and tough tracks. Rather, your trail will considerably be an easier one. Once you expert hiking, you can shop for shoes that are available specifically for professional hikers in the market. After you are done with your dressing and footwear, another important thing is your water and food resources. Hiking for beginners also becomes majorly tough because of having poor resource management. How much food and water should you take? If you take an excessive meal, chances are high you will feel tired because of carrying excessive weight. Contrarily, low food resources can make your exhaust earlier. You will get an idea of your body requirements with experience. However, for now, keep this rule in mind. Your food should be enough to supply you almost 200-300 calories per hour. Regarding water resource, you should take half liter water for each hour. Remember, this estimation works for the medium level track with average weather conditions. Try to take lightweight energy boosting drinks and eatables. Avoid canned foods. Rather use packets, as food-can feels heavier than plastic. 1. Shelter: Try to take some lightweight tents or other shelter items with you. Wondering why? You never know what condition you might face. So in case, you will have to stay longer, these shelters will come in handy. 2. Hiking Boots: Harkins boots are specially designed for protecting the feet and ankles during hiking. So it’s very important to consider the best and most comfortable hiking boots for hiking. It is very important hiking gear to go on unknown less-crowded trials. Additionally, you should be able to read the map. The compass will help you in identifying the right direction. 4. Sun guard: Harsh sun rays can make your skin burn. It is better to take preventive measures. Wear some good sunglasses, and apply sunblock. 5. Insulation material: Take some insulation material like a waterproof jacket or other some other covering. It will help you to deal with sudden rain. Moreover, take some waterproof lighter, matchbox etc with you. 6. First-aid: Take necessary first-aid supplies with you. You will not have any medical assistance with you on track. So, it’s better to be prepared on your own. 7. Nutrition and hydration: Take some additional source of nutrition and hydration with you besides your regular food storage. It will keep you energetic during the unexpected long stay. If night hit on your way, a proper water-proof lighting system will help you on your way. Take some reliable torch with you. 10. Garbage disposal system: Take some plastic zipper bags, paper towels, and other such stuff to dispose of your garbage or waste properly. Remember, this stuff is enough for medium-level hiking. For going to remote areas with extreme conditions, you should take some more items for your safety. 11. Make others aware of your plan: Before going out of your home, make sure to inform your family and reliable friends all about your hiking plans. They should know your planned time, track, and companions you are going with. If you don’t have anyone to inform, contact some legal authorities like rangers of that area, or some Hiking websites. 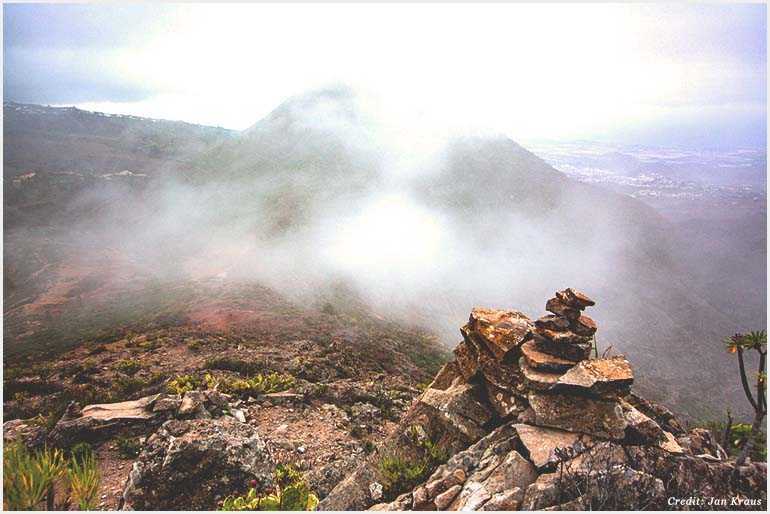 There are few hiking related platforms, to which you can also inform about your hiking. Remember, it is important for your security. 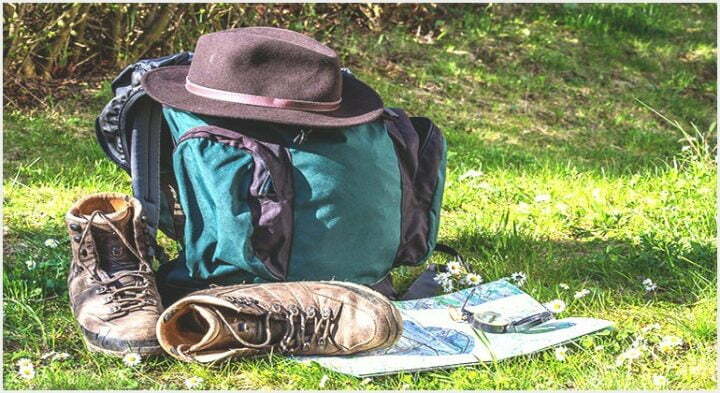 In the previous section, all the crucial things are mentioned that you should prepare for, before going out hiking. Now, in this section, you will get to read on-track hiking tips for beginners. How are you planning to complete your hiking track on time? Normally, beginners start their hiking at quite high speed. They think by doing this, they will reach their destination successfully. Let us tell you, this approach is completely wrong. Why? The reason is, it will make your body tired earlier. The best practice is to adopt average speed. Go on covering the trial distance along with enjoying your surroundings. Only those hikers become successful in completing their activity, who maintains optimum speed throughout. Obviously, at the start, you will be feeling more motivated and energetic. But, if you do over-speeding, then you will stop after covering a half-way only. Have you prepared yourself for any mishaps or other emergencies? Wondering in natural resources randomly makes you vulnerable to many unexpected incidents. The most common is getting lost somewhere in the middle of your track. If you realize you are lost, just stop right there. First, make yourself calm, as you are not the first one who is facing this. After that, start recognizing your surroundings. You will most probably get the clue. But if not, start moving in the backward direction in your footsteps. By doing this, you will ultimately reach some known place. If nothing works, then start shouting for help at regular intervals. Also, start making signals with some bright clothes. In this way, anyone who will come to rescue will find you soon. Avoid leaving any trace of your activity behind you. Remember, you are going hiking in natural places. These places are meant for everyone. Therefore, you should avoid leaving any such used material/traces that can make others’ hiking experience bad. There are other particular rules related to hiking. You must follow these rules for the sake of other hikers and your environment. Among other rules, one of them is avoiding gossiping loudly with your companions on your way. Inform all those people about your safe arrival to whom you reported before leaving. Take a warm water bath and wear some light clothes. Check your body for any bruises or rashes. In case anything serious happens, ask for medical assistance. Update your social media with the latest selfies and your experience. It will encourage others to go on hiking as well. Tell your experience and all other details to some hiking websites or forums. It will make other enthusiasts aware of many things they weren’t before. Hiking is undoubtedly a great outdoor activity. There are numerous benefits of hiking. It not only helps a person in shedding extra pounds but also leaves positive effects on person mind and soul. As it is not simply walking, it gives more pleasing experiences that leave their footprints permanently on your mind. Additionally, it assists in increasing your stamina to go through tough situations. However, hiking can only be enjoyed after proper preparations. Therefore, in the above sections, we have given a detailed hiking guide. This guide can help in making the first hiking worth remembering for beginners.